This is the time of year when everyone seems to be saying to themselves, “maybe I should try to start exercising or dieting.” Just in time for your New Year’s resolution of a healthy lifestyle the Wise County Extension office is launching Step Up and Scale Down, a 12 week weight management program to help the public in their efforts. The series will kick off Tuesday, January 22 at the Wise County Extension office meeting room located at 206 S. State Street, Decatur. Classes will be held from 12-12:45 pm for twelve consecutive Tuesdays. “Step Up & Scale Down is a great program to do with a friend or family member. The program will consist of weekly lessons to help participants move toward a healthier weight and includes a weekly weight check-in, weekly challenge to “stay the course,” exercise resources and a weight-loss planner. A special feature includes recipe samples and ideas for healthy meal prep using several methods including pressure cookers and air fryers. The twelve sessions include: Scale Down by Setting Goals, Step Up to a Healthy Plate, Scale Down by Label Reading, Step Up to Breakfast and Menu Planning, Scale Down with Moves to Lose, Step Up Your Hydration, Scale Down by Finding your Motivational Mojo, Step Up to Healthy Snacking, Scale Down with a Colorful Plate, Step Up to Successful Socializing, Scale Down by Knowing Your Numbers, and Step Up and Celebrate. The Step Up & Scale Down program is based on the USDA Dietary Guidelines, which are intended to help Americans choose a healthful eating plan. Cost for the 12-week program is $40 which includes all course materials. Call 940-627-3341 today to reserve your spot and get on track to a healthier you. Foodborne illnesses can be prevented by following simple food safety practices. Texas A&M AgriLife Extension-Wise County provides a Food Protection Management Training Program that seeks to reduce the risk of food borne illness. Food service employees and those who operate a cottage food business can attend a two hour Food Handler’s class on Wednesday, February 6, 2019 from 2:00 pm to 4:30 pm at the Wise County Extension office in Decatur to learn more about good personal hygiene, cross contamination and time and temperature abuse. The registration fee is $20.00 and covers course materials and an official food handler card. The deadline for registration is Tuesday, October 16. Space is limited. The Texas Cottage Food Law requires that anyone who operates a cottage food business have a food handler card. The food law allows the following list of foods that can be sold: baked goods, jams and jellies, dried herbs, pickles, popcorn snacks, candy, unroasted nut butters, and vinegar. These foods can also be sold at venues outside the home including farmers markets, roadside stands, and fairs. For questions concerning the food handler class or the Texas Cottage Food Law please call 940/627-3341 or come by Texas A&M AgriLife Extension’s, Wise County Office, 206 S. State St., Decatur, Texas 76234. The Food Protection Management (FPM) Training Program is brought to you by the Texas A&M AgriLife Extension Service in cooperation with the Texas Department of State Health Services, and the County Commissioners Court Cooperating. I am excited to announce a new opportunity available through Texas A&M AgriLife Extension-Wise County. Cooking Well with Diabetes is a cooking school designed to help people with diabetes and anyone that prepares food for them. Cooking Well with Diabetes will be delivered in four Tuesday morning sessions in April from 9:30-11:30 am at the Wise County Extension Office. The classes will be packed with researched based information on management of type 2 diabetes and delicious diabetes friendly recipes. April 24- Celebrating Sensibly: Special event recipes that are healthy and delicious. Following instruction, participants will get hands-on experience cooking a variety of healthy dishes and learn how to incorporate them into their meal plans. Cost per person for the entire series is $25 which covers the cost of class materials, recipes, and a tasting of foods prepared. Space is limited. You may register by contacting the Extension office at (940) 627-3341. I hope you can join us for Cooking Well with Diabetes. It is a great opportunity to learn how to better control your blood glucose levels by eating healthful meals and snacks! If you have any questions, please feel free to call the Extension office at 940/627-3341. Through a modest increase in daily activity, most Americans can improve their health. WALK ACROSS TEXAS is a program that persuades and motivates people of all ages to make the most important change…to get started. It is a fun and flexible way to exercise. The program is simple, free and safe. All you need is a team of eight people to get moving, with one person being designated as the “team captain.” The team who walks farthest “across Texas” will win, but everyone who participates will take home a healthy habit – walking for fitness. Team members report their daily mileage to the team captain, and the team captain reports the individual and team total miles on the following web address: http://walkacrosstexas.tamu.edu or to the Extension office at the end of each week by: telephone (940.627.3341), fax (940.627.8070) or e-mail khbrown@ag.tamu.edu. Teams are not required to walk or ride together, although they may if they desire. Teams simply pool their mileage each week to work toward “walking across Texas”. Members may walk, jog, ride a bike, skateboard, roller blade, tread mill, swim, spin and/or run. A large Texas map showing the progress of teams will be in Texas AgriLife Extension, Wise County office, and at other various locations. So dust off your walking shoes and prepare to join us in this 8 week journey beginning on March 5, and continuing through April 30. Walk Across Texasis sponsored by Texas A&M AgriLife Extension. We are looking for captains and team members. Please encourage organizations in which you are involved to participate in this endeavor. Remember prevention works! Individuals can save a lot of pain, worry and money by avoiding health problems. I encourage you to join the Walk Across Texas Program today. Call or come by Texas A&M AgriLife Extension Service, Wise County office, located at 206 South State, in Decatur or call 940-627-3341 to pick up your Walk Across Texas Team Captain Packet. Step Up Scale Down, A Healthy You in 2018! Step Up Scale Down is a research-based program designed to help you achieve and maintain a healthy weight in 12 weeks. The USDA Dietary Guidelines inform the program, which focuses on forming habits to promote health and reduce your risk for chronic disease. As the time draws closer to setting those New Year’s resolutions (or maybe a better term, ‘goals for the year’) you may want to consider our online Step Up & Scale Down, A Healthy You 2018; which is a12-week weight management program to help with your efforts. Facilitated by our Healthy Texas office the online course starts January 8th, 2018. The program is based on the USDA Dietary Guidelines and covers a wide range of topics that address barriers most people face when trying to lose weight: proper goal setting, reading nutrition labels, meal planning, motivation, socializing and more. Lessons are self paced and feature new interactive lessons each week. The online course also includes discussion boards and group support. Step Up Scale Down, A Healthy You 2018 will teach you how to eat healthy and incorporate physical activity into your daily life to help you lose weight and live a healthier lifestyle. Cost for the 12-week program is $40. To register, visit the website at stepupscaledown.org. You may also contact the Wise County Extension office at (940)627-3341 for further details. Tis the season for holiday gatherings! This month begins the start of many different holidays; all of which can bring the need for parties and food. The biggest question we always ask, “How do you stay healthy through the holidays?” Here are a few tips you can remember when celebrating this season. Tip 1: Bring a dish you enjoy! Every holiday party has a punch, cocktail, or sweetened beverage. Our tip is not to drink your calories during a gathering. Not only do many of these beverages have lots of added sugar but are high in calories. Save your calories and added sugar and choose either water, sparkling water or unsweetened tea. Tip 3: Don’t starve yourself throughout the day. As much as we would like to save all our calories for a holiday party; not eating regular meals throughout the day can lead to overeating. Instead eat regular meals during the day and make those meals count. Choose vegetables, fruits, whole grains, and a good source of protein to help keep you satisfied. Looking for more tips on making healthier holiday choices? Visit choosemyplate.gov for more tips on nutrition during the holiday season. Grab your friends and join us for our newest program called Path to the Plate-Healthy Grilling Workshops. Hosted by Texas A&M AgriLife Extension Service and Wise County Extension’s Leadership Advisory Board, Family and Consumer Sciences, and Ag and Natural Resources planning groups; the two night event is scheduled for Thursday, April 27 and May 4 in the Women’s Building at the Wise County Fairgrounds. The workshops begin at 6 pm each evening and will conclude around 8 pm. We are targeting busy people who still want to make time for meal preparation with a grilling twist and feel good about what they are feeding themselves and their family. Whether you’re an old hand or a novice at outdoor grilling we think you will benefit from Path to the Plate. Our goals are to promote Texas Agriculture and teach participants about the role agriculture plays in providing proper nutrition, preventing food waste, and alleviate unsubstantiated fears about the food supply. 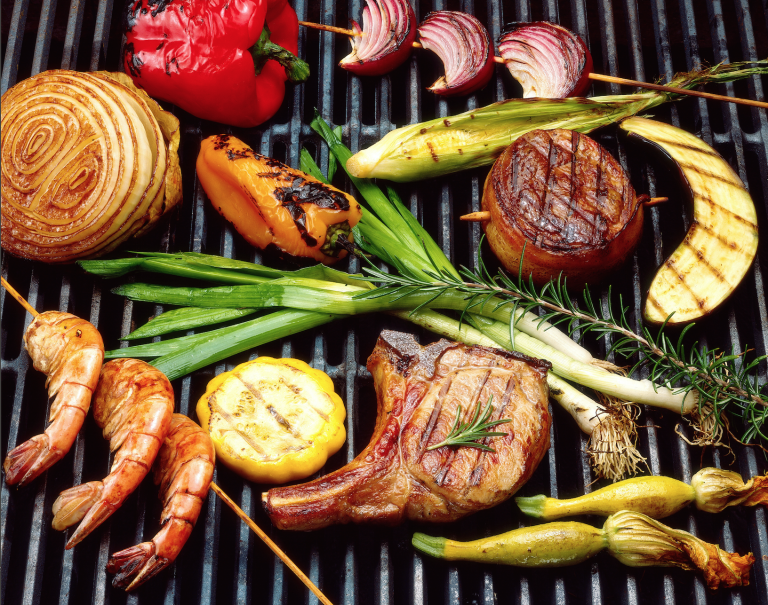 To get you ready for grilling season, cooking demonstrations will showcase how to use fresh flavors to make healthy and delicious meals for you and your family. Two different type meats (beef, pork, fish, poultry) along with fruits and vegetables will be featured at each workshop session. You will learn to maximize flavor with the mysteries of marinades and rubs, smart grilling techniques and hear the facts of gas vs charcoal grills. Generous samples of each recipe demonstrated are sure to satisfy your appetite. Agriculture commodities will be featured as we connect agriculture production to health and nutrition. The pre-registration fee is $15 per person for one session or $25 per person for both sessions. The fee includes recipes, brochures, recipe samples, goody bags, and door prizes. Please call the Extension office at 940/627-3341 to reserve your spot. Space is limited. Sponsors of Path to the Plate include: Texas Beef Council, Cargill, Texas Pork Producers, First Financial Bank, First State Bank, Legend Bank, and The Community Bank. I hope you will join us to gain tips, tools and tastes that will put you ahead of the pack this grilling season! For additional information, contact the Extension office at 940/627-3341. What is the 40 Gallon Challenge? To start saving water and take the challenge, go to the website and complete the checklist of water-saving practices. The checklist includes both indoor and outdoor water-saving tips. What are you having for Dinner Tonight? This website is devoted to helping busy families by providing videos and recipes of main dishes, appetizers, side dishes, and healthy desserts.